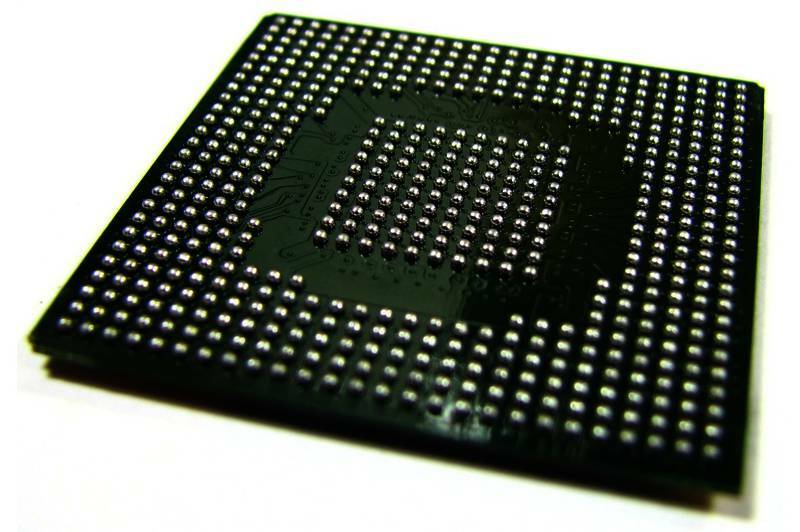 What is a Ball Grid Array (BGA)? A definition and description of ball grid array and the advantages and disadvantages it holds. A ball grid array package is a type of surface mount packaging that is increasingly being used for integrated circuits. It is used to permanently mount devices such as microprocessors. The soldering of BGA devices is usually done by automated processes as it requires precise control. BGA originally descended from the Pin Grid Array (PGA), which is a package with one side covered in pins which conduct electrical signals from the integrated circuit to the PCB. BGA has replaced the need for pins as balls of solder are stuck to the bottom of the packages.BGA also increases performance levels at high speeds due to the leads being shorter than average with a perimeter only type. What are the benefits of BGA? Thickness of the package is reduced – advantageous as assemblies need to be much thinner. Efficient use of the printed circuit board space which allows connections to be made under the package. Lower thermal resistance between the package and PCB allows the heat generated to flow more easily to the PCB. This prevents the chip from overheating. Due to larger pad sizes, re-working is an option. i.e. reballing and replacing. Manufacturing yields are improved due to overall improved soldering. Wide spacing between connections gives a better chance of successful solder balls. As the spacing between the PGA’s was decreasing, the difficulties in the soldering process were increasing. This was raising the chance of accidentally bridging adjacent pins together with solder paste. BGA’s have a lower chance of suffering from this problem when the solder is factory applied to the package. Bending due to the difference in coefficient of thermal expansion between PCB substrate and BGA can cause solder balls to fracture, as they cannot flex in the same way as longer leads. The necessary equipment required to reliably solder BGA packages is expensive. Hand-soldering packages are very difficult and can be unreliable.